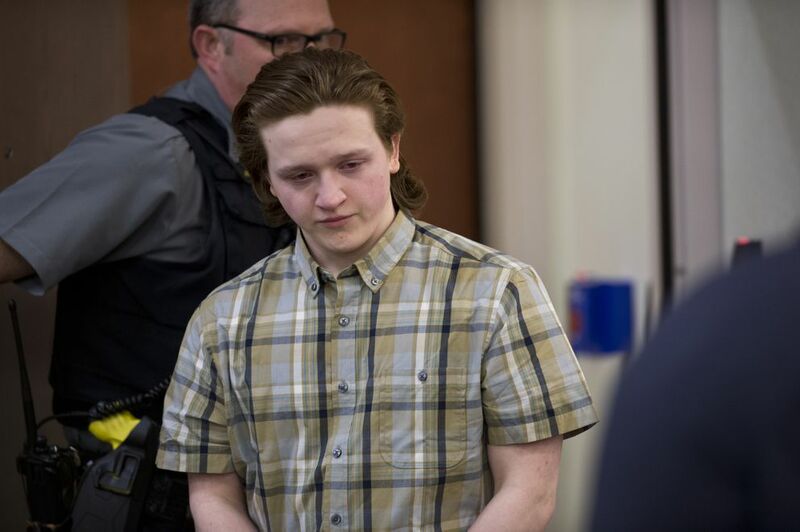 A Palmer jury found the first teen to be tried in the killing of David Grunwald guilty of first-degree murder and all other counts against him after deliberating for less than a day. Erick Almandinger, 18, was found guilty of murder, kidnapping, arson and related charges in Palmer Superior Court on Thursday afternoon. Jurors began deliberating late Wednesday. Grunwald was killed on Nov. 13, 2016. The case drew national attention with its grim look at the underside of teen life in small-town Palmer and young defendants displaying little if any motive. Grunwald, a popular 16-year-old with a bright future and stable family, crossed paths with a group of teens described during court proceedings as sporadically homeless, fascinated by the Crips gang and supplied with home-grown marijuana and stolen guns. Almandinger is one of four teenagers accused of the crime. 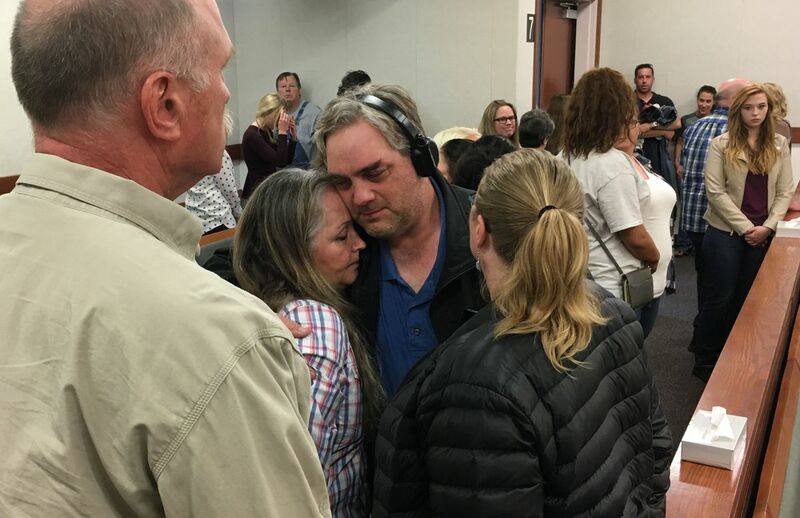 As the verdict was read Thursday, Grunwald's parents Ben and Edie and his girlfriend Victoria Mokelke held hands in the front row of a packed and silent courtroom. Mokelke smiled briefly as Superior Court Judge Gregory Heath announced the murder verdicts but the Grunwalds showed little reaction. Almandinger's father, Rodney, grimaced and looked down. Minutes later, as the courtroom cleared, Rodney Almandinger approached the Grunwalds. He spoke briefly with Edie Grunwald and gave her a quick hug. Then he put out his hand to Ben Grunwald, who stared him down and said, "No." Prosecutors say Erick Almandinger joined the group in beating Grunwald with a .40-caliber Ruger — Almandinger's gun — at a camper behind Almandinger's Palmer home and then driving him, bloodied and half-conscious, to a remote spot near the Knik River in his own 1995 Ford Bronco before shooting him once in the head and then torching the Bronco across the Valley. Almandinger's attorney argued he was too scared to stop the murder but didn't do it, though his client was guilty of burning the car, lying to investigators, and destroying evidence. The jury also handed up guilty verdicts on counts of second-degree murder, manslaughter, criminally negligent homicide, kidnapping, vehicle theft, arson, and evidence tampering. The other teens charged in Grunwald's murder are Dominic Johnson, Brad Renfro and Austin Barrett. Johnson's trial, scheduled for September, is next. Grunwald's snow-covered body wasn't found for 2 ½ weeks, when Johnson took Alaska State Troopers to the area. Hundreds engaged in an increasingly desperate search for Grunwald before that. The night of the murder, Johnson told Almandinger to bring his heavy Ruger to the camper because he didn't like Grunwald and wanted to beat him for smoking all of Almandinger's marijuana, Almandinger told investigators on Dec. 2, 2016, the day the body was found. Almandinger was arrested that night after a three-hour interrogation at the Palmer troopers post. Almandinger insisted he didn't kill Grunwald. 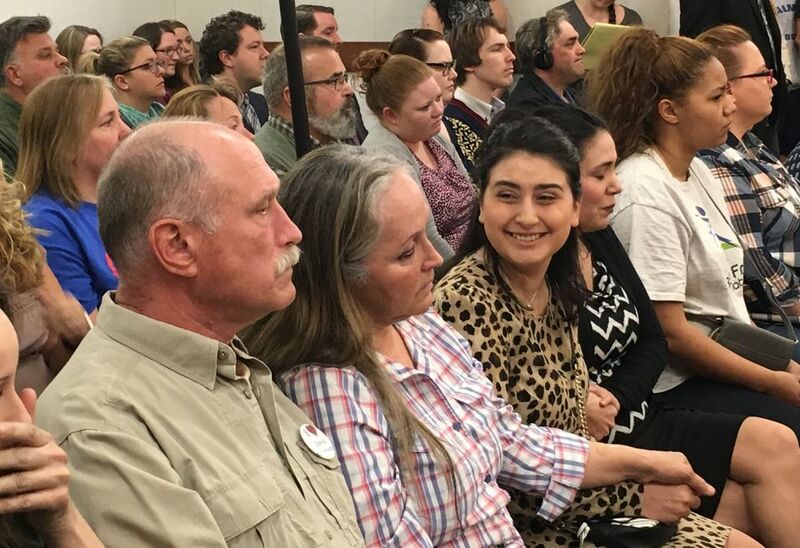 But the jury had to consider Alaska's accomplice liability law that defines someone as committing murder if they "intended to promote or facilitate" the killing, acted intentionally with the intent to kill someone, and aided or abetted in their death. Palmer District Attorney Roman Kalytiak, who is prosecuting the murder cases, has proposed a number of "aggravators" to apply during Almandinger's sentencing. The aggravators include "deliberate cruelty" inflicted during the murder and others, Kalytiak told the court after the jury left Thursday. Almandinger waived his right to have a jury decide the aggravators, court-appointed attorney Jon Iannaccone told Heath. Instead, the judge will decide. A pre-sentencing report is the subject of Almandinger's next hearing, which Heath scheduled for Sept. 6.